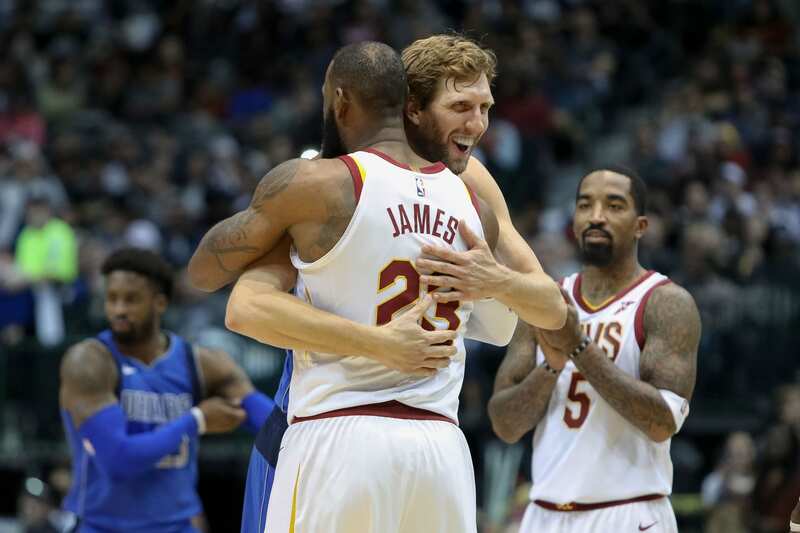 Los Angeles Lakers forward LeBron James has passed Dallas Mavericks forward Dirk Nowitzki for sixth on the NBA’s all-time scoring list. In the third quarter against the San Antonio Spurs, James hit a fadeaway jumper for 31,188 career points. Earlier in the game, he also passed Los Angeles Lakers legend Shaquille O’Neal for seventh on the NBA’s all-time field goals made list. At 33-years-old and in his 16th season, James has a legitimate opportunity to become the all-time leading scorer by the time he retires. Kareem Abdul-Jabbar (38,387), Karl Malone (36,928), Kobe Bryant (33,643), Michael Jordan (32,292), and Wilt Chamberlain (31,419) are all currently ahead of him. If James continues his career average of 27.1 points and stays relatively healthy, he will pass Chamberlain and Jordan during the 2018-19 NBA season. James has gotten off to a strong start early this season, scoring at least 24 points in four of five games entering Saturday. 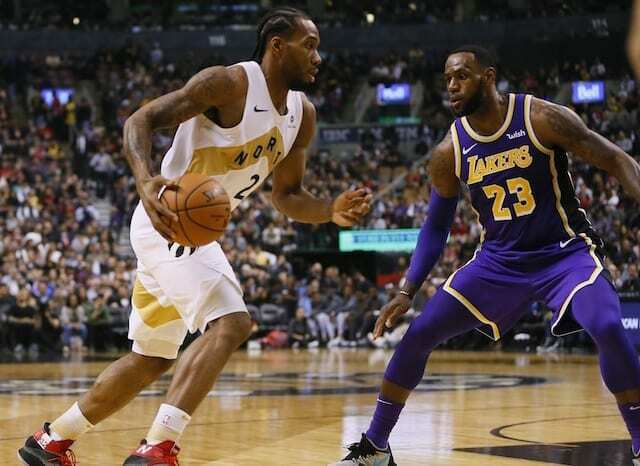 James was also coming off his first triple-double with the Lakers, which was his fifth overall against the Denver Nuggets and 74th of his career. 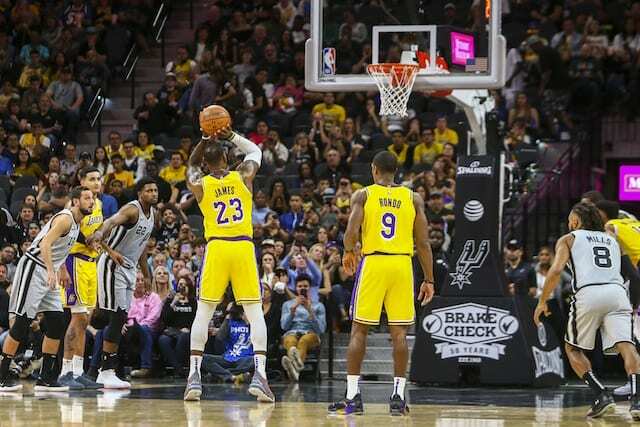 Additionally, with 28 points, 11 rebounds and 11 assists, it was the Lakers’ first 20-point triple double since Bryant in December 2014. The Lakers legend coincidentally was in attendance for James’ stellar performance, which he gave a rave review of.